There are few things that brighten up a room than a bouquet of spring-growing yellow gold daffodils, these remind me of our Yellow Gold Double Wedding Ring Quilt. To have longer lasting inside bouquets, pick the daffodils when they are still in bud. Once exposed to the warmth of a room in a flower vase with water, the buds will open into flowers and give you a longer-lasting display. When cutting daffodils, leave at least one flower bud so you will know what type and colors that group of bulbs produce. I also only pick one or two buds from each group so I can also enjoy the flowers in bloom outside as well as cut flowers inside. 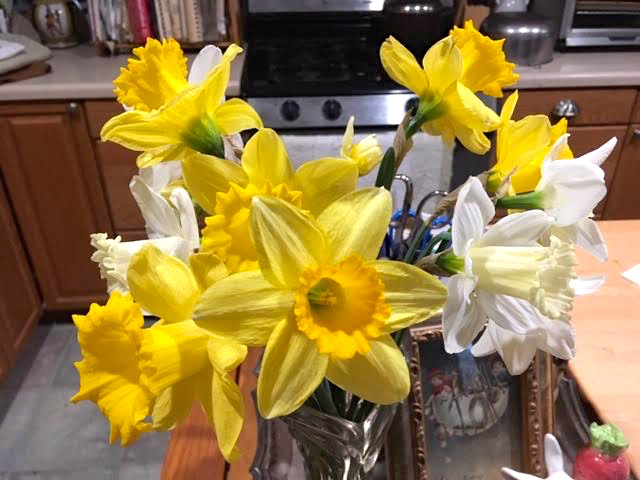 Daffodils don’t play well with other flowers so don’t mix your daffodil bouquets with other flowers straight out of the garden. If you want a blend, let the cut daffodils sit in water by themselves for a good 24-48 hours. 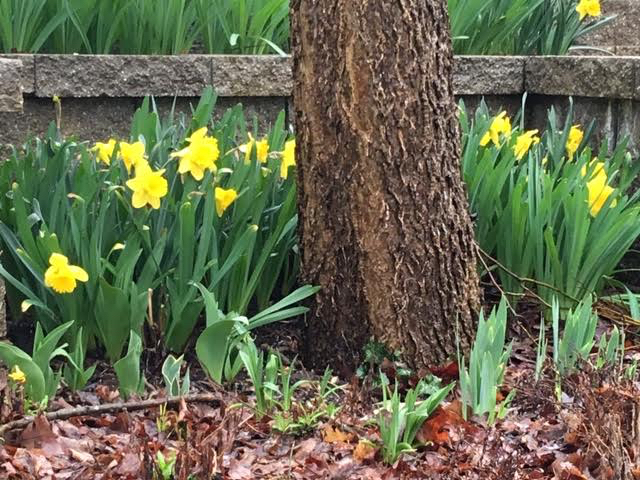 The toxins in daffodils that deter deer will drain and then you can mix them with other flowers. Also take clippers with you when cutting daffodils out of the garden. The clippers will give you cleaner cuts and you won’t have to tug at the green stem to easily remove it. Keep the green leaves on daffodils so the leaves can collect sunlight and, through photosynthesis, translate it into energy they store in bulbs for use next year. Finally change the water in the vase every couple of days and recut the stems to give your daffodils a long life inside. If you don’t have daffodils in your garden, or you want to plant more this fall to have enough to cut, King Alfred daffodils are the largest available on the market. Just a few make quite a statement and are hard to miss either in the garden or in a vase. If you want something smaller, look for Tete-A-Tete daffodils, which qualify as miniatures and are long lived once cut and used in flower vases as well. 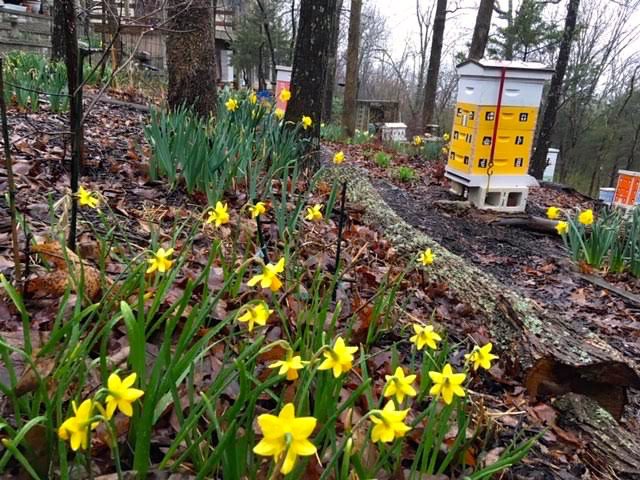 In between, there are a variety of early, mid and late blooming daffodils and jonquils, providing a nice variety of flowers to enjoy over the next few months. Happy spring!